Are high pressures a fact of life for your hydraulic equipment? 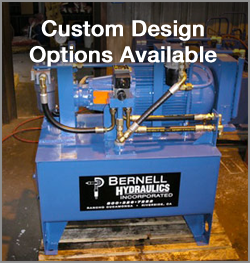 You need to choose your hydraulic parts wisely to make sure they can not only stand up to the pressure, but actually perform reliably and efficiently. Not every manufacturer has what it takes. But you can definitely rely on Oilgear, a specialist in high pressure hydraulic applications since 1921. Wide Selection of Pumps and Accessories: Obviously, if you don’t have the right hoses and valves, your Oilgear high pressure pumps in Chino Hills CA aren’t going to be much use. Fortunately, we have a complete supply of high pressure components for you to choose from. Excellent Customer Service: Our experienced staff members are ready to provide all the help you need selecting the right Oilgear high pressure pumps in Chino Hills CA for your specific application. If you have a question that stumps them, they will not hesitate to get the necessary info direct from Oilgear. Repair and Maintenance Services: Is one of your older Oilgear high pressure pumps in Chino Hills CA acting up? Our technicians can help. We provide onsite repairs 24/7 to get you back to work quickly. Whether you have a question about a specific high pressure pump or just want more information about our Oilgear inventory, do not hesitate to ask. Pick up the phone and dial 800-326-7252 and we’ll be happy to help.